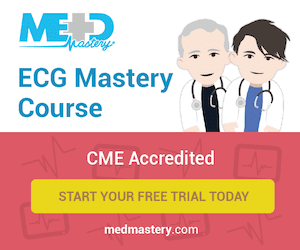 Home | Medical Specialty | Cardiology | Who’s Afraid Of The Big Bad Wolff? 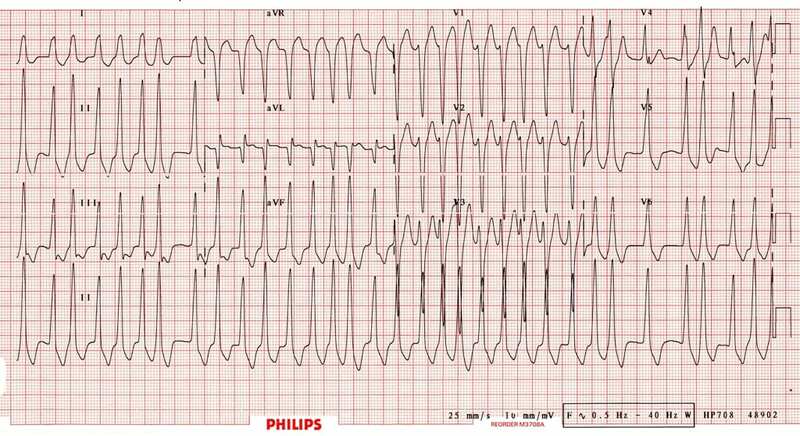 A 61 year old male walks up to the triage desk complaining of a funny feeling in his chest. He has had similar milder episodes in the past and has been investigated by his GP with no firm diagnosis being reached. 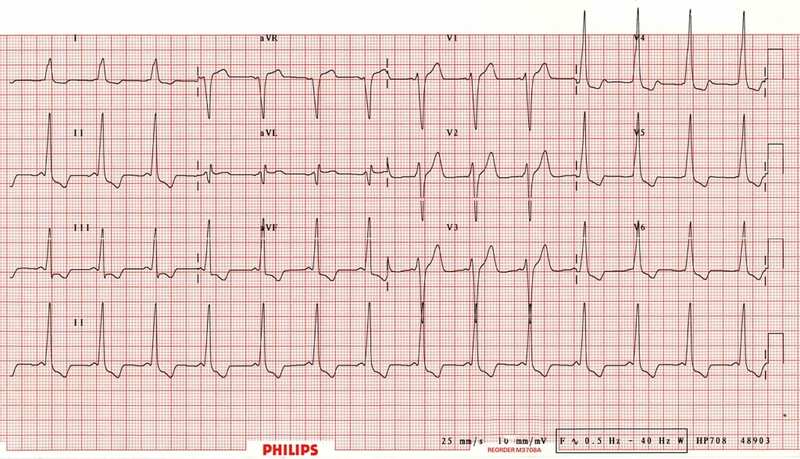 Initially you wonder if it might be Ventricular tachycardia (VT) as it seems broad and fast and initially seems regular, however after watching the monitor for a bit and stroking your Mo, you become convinced the rhythm is actually irregular. ECG pattern depends on where the accessory pathway inserts. Short PR interval <120 msecs. Delta wave = slurred upstroke at beginning of QRS. 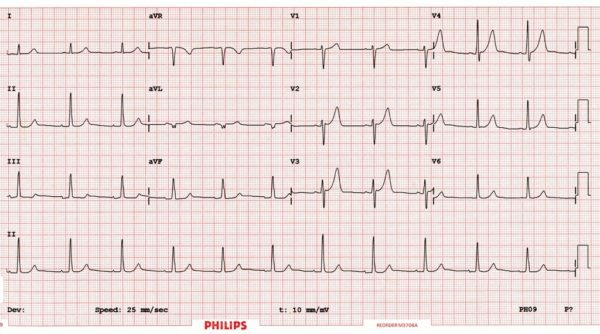 Grossly wide and abnormal QRS if pathway inserts into non-conduction tissue. 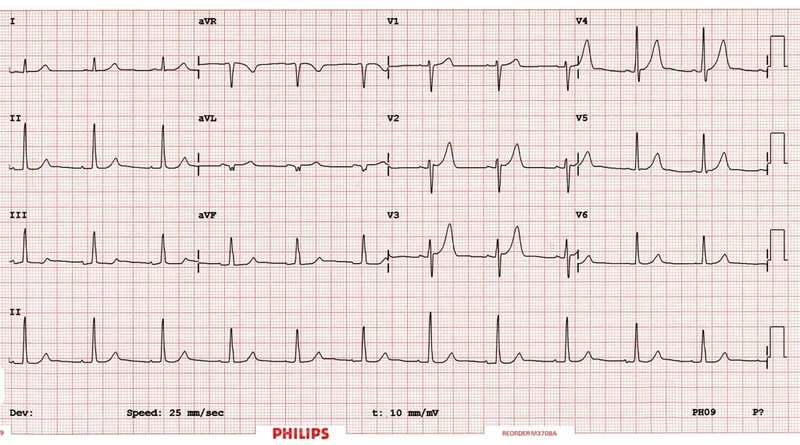 A heart rate ≥ 200 should make you think of a pre-excitation syndrome. Narrow complex SVT is treated identically to non-WPW SVT. Don’t try and be clever with drugs in broad complex tachycardias and WPW. 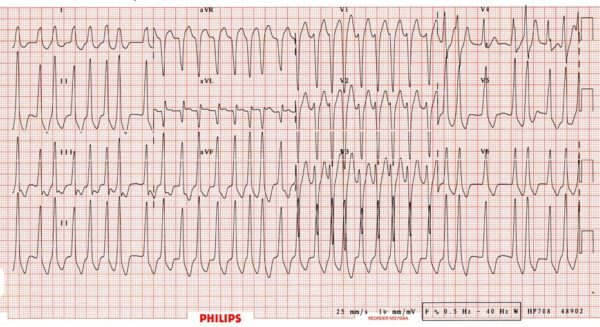 Using AV nodal blockers in WPW and AF can result in 1:1 conduction to the ventricles. 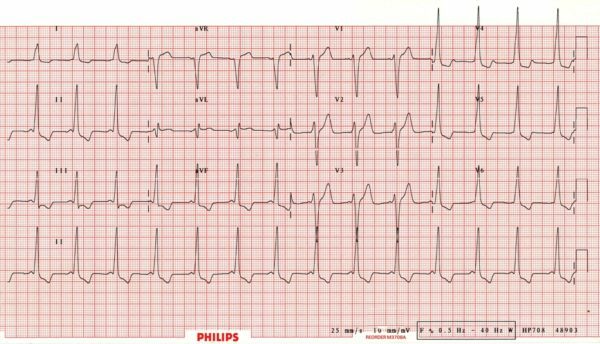 This is also know as Ventricular Fibrillation. Just shut-up + DC cardiovert them.